lovely colours! is that snow on the leaves? so awesome. Great color and texture, but the shallow depth of field is my favorite...it really draws you into one point. The vignetting works well too. Fantastic image! Guessing it was a bit further north than Israel! 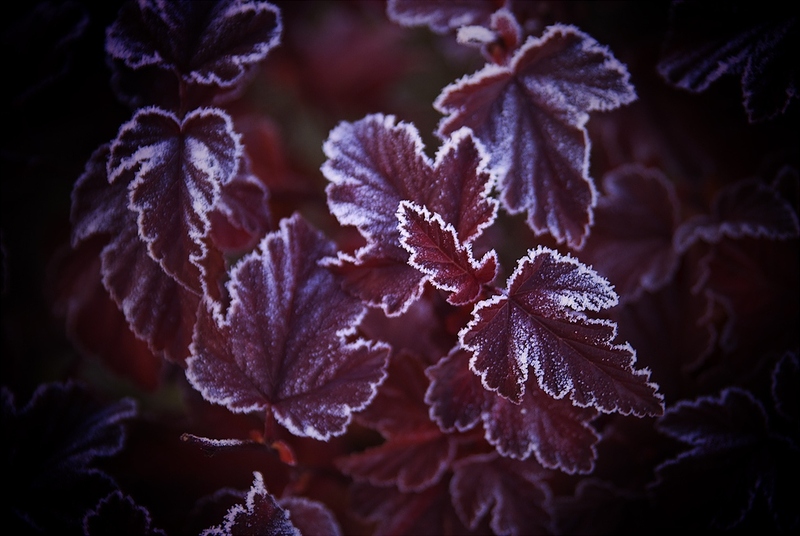 Particularly like the crisp contrast of the frost with the deep rich hues of the leaves. ¡Es preciosa! Me gusta mucho, muy bien aprovechada la escarcha. Genial el color! !